I have to confess at the outset that pinball arcades were a frequent venue for a large part of my misspent youth. Fridays would find me and my buddy Dave at Pinball Pete’s. We got good enough to play all night on $2, as if that were something to brag about. Pure Pinball is a pinball simulator done right on the iPad. It’s super-realistic and beautiful to look at. 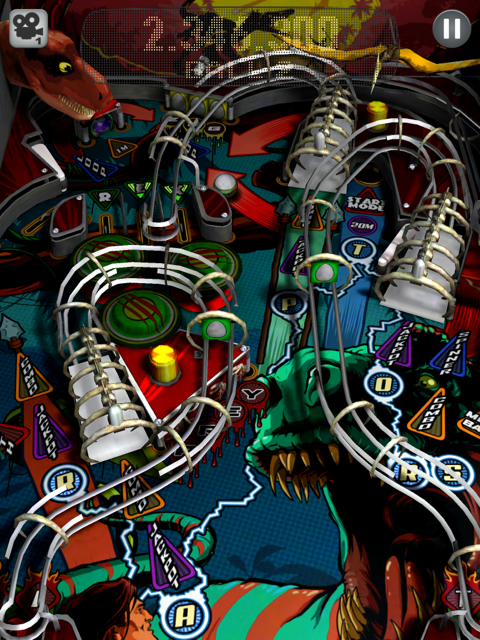 In short, if you like(d) real pinball, you’ll love Pure Pinball for your iPad. 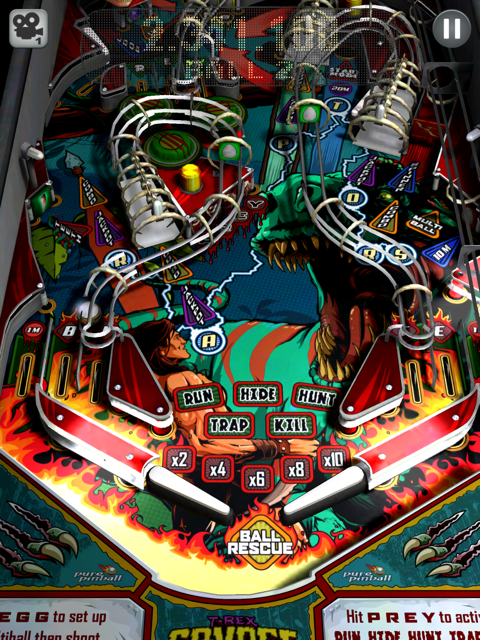 The makers of Pure Pinball went to considerable lengths to make sure all the gameplay, graphics, and physics match what you’d find on a real pinball table. From the way the plunger launches the ball, to the gravity of its descent, to the way the bumpers fire, to the spinning of the targets it all matches the real deal. The layout of the table is as busy as late-model tables became before their almost extinction. There are buzzers, bells, ramps, and chutes of every description. Point-making opportunities come and go, announced by the game’s Mr. Big Voice, and lights on the table. You will do well to pay attention to these specials as they can quickly multiply your score. There are three tables available and you unlock the second and third by doing well on previous tables. The only quirk of the game is what I perceive as a split-second miss-timing in the flipper action. It only takes you a few seconds to get used to it, but it’s real. The main flippers at the bottom work well for catching the ball as you would on a physical table. This is very useful for lining up shots at those point-making specials. There is also a second vestigial set of small flippers near the top of the table. To repeat, if you like pinball, you’ll undoubtedly like Pure Pinball. I found myself playing for extended periods of time, and my scores increased rapidly. I was feeling pretty smug until I looked at the leader boards: some guy in Sweden had ten times my score. I know: practice, practice, practice. Here’s an app store link for Pure Pinball. It’s priced at $2.99. There are no in-app purchases or their interruptions.